Seismic Preview: Grave Babies New Album “Crusher” Due Out Feb.26th On Hardly Art Records. There’s a psychiatric disorder called a mixed state. It’s when a person displays both manic and melancholy impulses at the same time. This is often considered a dangerous point on the spectrum of mental illness, as the contradictory moods don’t cancel each other out or land you safely in the middle. Instead, these extreme moods join forces, enhancing the darker traits of each. If you invert this tendency, remove it from the realm of disorder, and instead, celebrate its possibilities, consider it as a goal, you’ll understand Grave Babies—a band whose sound might suggest the need for drugs that stabilize mood, while creating, at the same time, a desire for ones that enhance them. Who doesn’t want a big sound to sound bigger, a mood to be moodier, and, on occasion, pain to feel more painful? Not to say that Grave Babies are mopes, or their music depressing or affected. 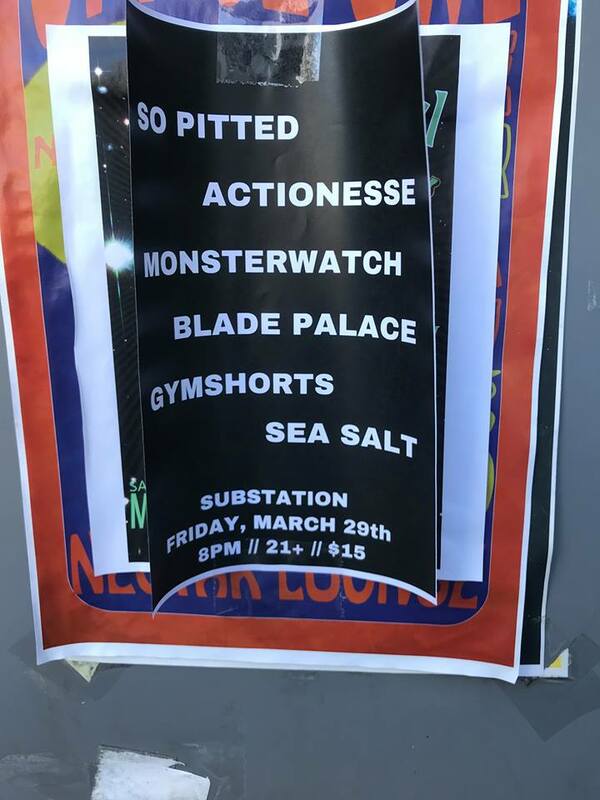 Gothic, dark, spooky, post-punk: Toss out the adjectival assault currently heaped upon bands with any hint of feedback, somber lyrics, and the occasional gory metaphor. A band like Grave Babies is best served by seeking out the sounds below the obvious. Danny Wahlfeldt, the band’s founder, claims zero allegiance to the gloomy canon to which his music is often compared, owing more of a debt to ‘90s giants Nirvana and Nine Inch Nails. And despite Grave Babies’ fuzz and muffle, its near-metal moments, one senses a trace of a cleaner brand of pop—a flowery, even happy pop music—scraping along the sides of their songs. On many tracks—even some of the heaviest—there’s some jangle in the jugular and that’s where much of the tension lies, where the songs are at their most surprising and evocative. At the center of Grave Babies’ sound is the sonic equivalent of thwarted desire—or, as they put it themselves: horrible things wrapped in hope. Rock music, even the most up-tempo song, always has this element of longing. Some bands, Grave Babies among them, play a little closer to the pain of it all. But the satisfaction in listening to Grave Babies comes, again, from its contrasting elements, its effortless mixing of opposites and tracing of fine lines: sincerity that doesn’t bend towards the sentimental; distortion that serves the melody, rather than obscures it; aggression that belies desire, not destruction; and destruction that wends its way back into the messy spirit of contradiction and controlled chaos. All this delivered with a deadpan wit that somehow sidesteps humor without being humorless. Crusher (February 2013) is Grave Babies’ latest release on Seattle label Hardly Art. It follows a 7” (“Pleasures”) and a 12” EP (Gothdammit). This is their second full-length LP. (The first, Deathface, was a cassette-to-vinyl re-release on Danish label Skrot Up.) The title itself—Crusher—is the prefect preface for an album that continues to deliver the bold, heavy, driven, off-pop pop the band is known for, while at the same time, annihilating its former catalogue in a curious way. Many bands mark their evolution with a departure. On Crusher, Grave Babies take what is arguably the harder approach: doing what they’ve always done, but doing it better. Wahlfeldt still does the writing and recording on his own, but credits his current bandmates as having a tremendous impact, both musically and thematically, on the final product. These rogue influences serve the album well. On Crusher, Grave Babies’ method may be the same, but their madness is multiplied. ← Seismic Preview: “Strangers” By Psychic Twin. 7″ Ltd Ed Vinyl Out April 2nd.